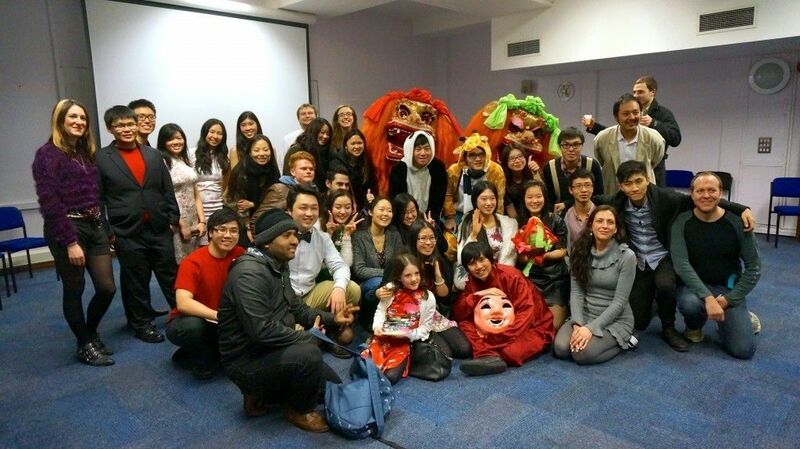 On Friday night, members of the Chinese society welcomed Birkbeck students to their event organised to celebrate the Chinese New Year. 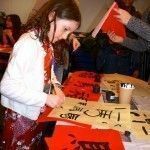 The event was held at Malet Street in a room filled to the brim with students curious to know more about this traditional Chinese celebration. Red paper decorations and lanterns were hanging from the ceiling. The atmosphere loud, but friendly, as various activities took place. To one side of the room students got their hands dirty with flour and vegetable corn filling, as they learned how to make Chinese dumplings for the first time. Next to them was the Chinese calligraphy where students were taught the stroke order for writing the characters ‘horse’ and ‘fortune’. Another section was jianzhi, the art of of paper cutting. On the far right was the drinking corner, for those who appreciate Chinese alcohol or wanted to taste it for the first time. Tsingtao, a Chinese beer, was available in abundance as were a variety of Chinese spirits which some took to better than others. 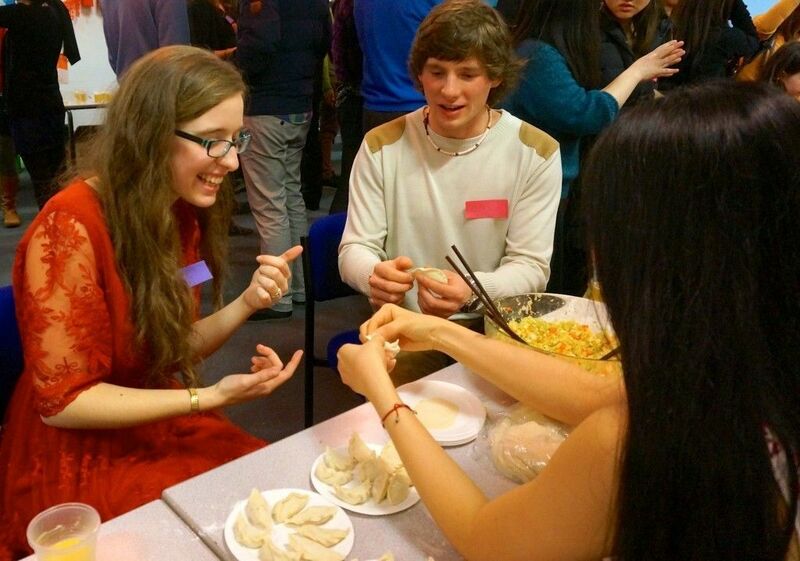 Spring rolls and pancakes were available too, so everyone was fully immersed in Chinese culture. 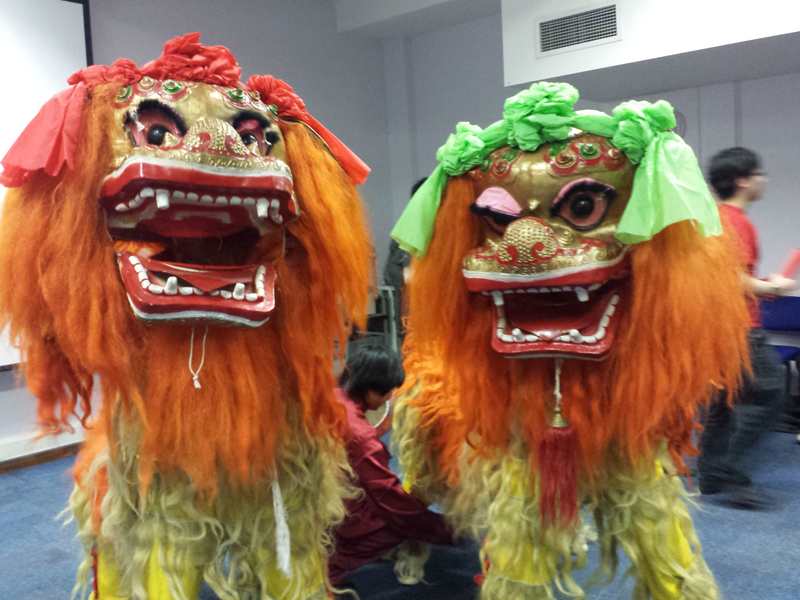 At 9pm, the grand finale took place with the ‘Imperial College London Dance Team’ performing a Chinese Lion Dance. 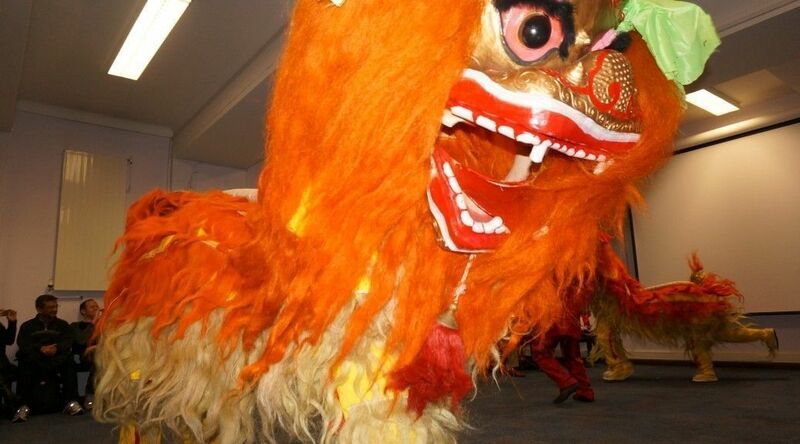 This was a spectacular and exuberant performance in dazzling colours from two boisterous and skillful lions with Chinese acoustic music and vibrant drums in the background. The occasion marked the start of the year of the ‘Wooden Horse’ according to the Chinese zodiac, which is based on a twelve-year cycle. If you were born in 1966, 1978 or 1990 your zodiac sign is the ‘Horse’. As a ‘Horse’ in 2014 you can expect a year of conflict but, conversely, many positive surprises as well. Those born under the sign of the horse are described as fast, energetic and animated. Chinese astrology suggests that if you’re born in these years you thrive in social surroundings, but enjoy being free and independent as well. In addition, they are competitive and, like horses, are heroic and victorious in battle. They move fast from one destination to the next – which could be considered a disadvantage – but luckily it is coupled with an ability to think quickly and make decisions on the go. 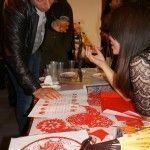 Birkbeck is an international hub full of interesting students who want to learn about other cultures which is something this event clearly highlighted. The year of the ‘Horse’ is about galloping towards a prosperous 2014. In work and play, Chinese students will look at this ‘Horse,’ as a symbol of luck, for examinations and essays, perhaps, but let us hope it gives Birkbeck societies encouragement to organise more fun events just like this one.